Built in 2016, the Athena Cruise made its maiden voyage on 1/7/2017. The Athena Cruise is the brand new 5-star cruise ship designed to offer you a one of a kind experience in Bai Tu Long Bay - the most spectacular area of the world famous Ha Long Bay. We would like to send you our unique selling points as follows. Distinct route through Bai Tu Long Bay- the quieter and well-preserved area of Ha Long Bay. Balcony with sitting area in all cabins. Kayak service included at no extra cost ( from 1stJuly 2017 to 30/09/2017). Options of kayak or bamboo boat. Luxury 15 seat Felix Limousine transportation that redesigned from the 35 seat vehicle to provide you with more leg room, free drink and snack, wifi on board and USB to charge the phones. Complimentary fresh fruit for every room. Special arrangement for your honeymoon or birthday at no extra cost. 13.00 Check-in your cabin and get confident with the boat. 13.15 The Cruise Manager will give a welcome speech with all the cruise information and Safety instructions. 13.30 Enjoy the Vietnamese Lunch Selection, created by our chef with the best products of the Bay. 16.30 Leisure time on board and why not, the right moment for a massage or for take some pictures of the spectacular sunset in the bay. 17.30 The cooking show is waiting for you to discover the secrets of the Vietnamese Cuisine. 19.00 The gala dinner is ready to be served in the restaurant. Fulfill your senses with a selection of plates in which our chef mixed the tradition with a touch of Western flavor. 20.30 – 22.00 Our drink promotion will help you to enjoy the after dinner under the stars of Ha Long Bay. 20.30 – ……. Don’t forget the squid fishing on board. 06.30 Learn how to practice one of the oldest traditions of East Asia: The Tai Chi. A beautiful and relaxing experience on the open deck. 07.30 Explore one of the famous beauty of the bay: Paradise Cave (Thien Canh Son). Leave your luggage outside the cabin and the key at the reception desk. Our staff will transfer all luggage in our lounge. 09.00 Bill Settlement at the reception desk. 09.30 The brunch is ready in the restaurant. 10.45 The boat arrives to the pier. 13.30 Enjoy the Vietnamese Lunch Selection, created for you by our chef with the best products of the bay. 15.30 Get the chance to enjoy one truly Vietnamese experience by visiting the Floating fishing village of Vung Vieng. 19.00 The gala dinner is ready to be served in the restaurant. Fulfill your senses with a selection of plates in which our chef mixed the tradition With a touch of Western flavor. 06.30 Learn how to practice one of the oldest traditions of East Asia: The Tai Chi. A beautiful and relaxing experience on the open deck. 07.00 – 08.30 Enjoy the Breakfast on board. 08.30 Transfer on the day boat ready to start an incredible experience. Surrounded by a breathless landscape, discover some of the most beautiful corners of the bay. Taste another typical selection of local food at lunch time. 15.30 Back on board of Athena Boat. Get a full relax in your cabin or on the open deck. 17.30 Don’t forget the cooking class with some other thing to learn. 19.00 The gala dinner will be ready for you. 30.30 – …. All the activities and promotions still ready to support your Leisure Time. – 06.30 Once again our Tai Chi master will be happy to invite you for a new session. – 07.00 The Early Coffee Set is ready to wake up you. – 07.30 Explore one of the famous beauty of the bay: Paradise Cave (Thien Canh Son). – 09.00 Check out time. – 09.00 Bill Settlement at the reception desk. – 09.30 The brunch is ready in the restaurant. – 10.45 The boat arrives to the pier. Description: Located on the first deck of the Athena Cruise, the Athena Executive Suite with Balcony is our most affordable cabin. Just one look and you will see that there is nothing standard about it. Every cabin features an outdoor sitting area and a large window, giving you a scenic view of the ocean and the beautiful stone formations of Ha Long Bay. The room is comfortable, well-designed, and romantic, complete with air conditioning, LED TV, and a standing shower with hot water 24 hours a day guaranteed. The private bathroom features a window allowing you to view the wondrous scenery during every moment that you stay with us. Description: Located on the second deck of the Athena Cruise, the Athena Elegant Suite with Balcony is a private and quiet cabin that promises you a good night sleep during the night and a stunning and serene view during the daytime. The Elegant Suite is just couple steps away from our indoor restaurant and bar so if you want a drink in the middle of the night you know where to go. Description: The Athena Terrace Suite is our premium cabin suite. Located on the second deck, the Athena Terrace Suite features a private sun terrace which offers you a panoramic view of the sea and breathtaking scenery. Designed to provide you with privacy, comfort and relaxation, this gorgeous cabin will make you fall in at first sight. A perfect choice for couples to spend their honeymoon, anniversaries or any other special moment of their love life! Description: The Athena Family Triple Suite is a great option for families or large groups. Located on the first deck, the Athena Family Triple Suite features a modern design and a private balcony. The Suite is the most spacious cabin on the first deck, giving you a home-like experience while enjoying our 5 star exquisite service. 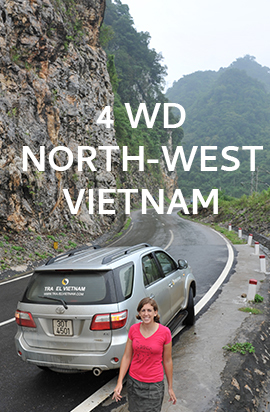 With the Athena Family Triple Suite, we want to make Ha long Bay your new dream home. Description: The Athena Family Connecting Suite is best option for families with more than one child or a group of four. Located on the second deck, the Athena Family Connecting Suite is two cabins sharing a connecting door and a private balcony. By choosing this cabin you can keep your family together while maintaining individual privacy. This Suite caters the same luxury services and exquisite views for every guest in your party. Here at Athena Cruise, we believe that travel is not just about what you see but how you see it. 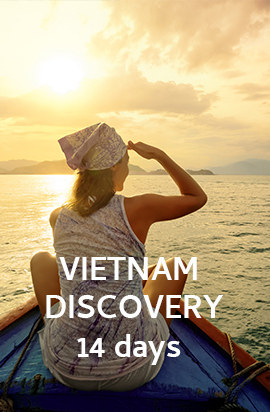 We invite you to experience Vietnam with activities that will make your trip unforgettable. From diving into your surroundings with hands-on kayaking or soaking up the view with relaxing Tai Chi. Whatever your travel style, we have something for you! Discover a mysterious ancient cave hidden beneath wild forest canopy and naturally chiseled stone. Explore the three vast caverns of Thien Canh Son Cave, a real-life dream world filled with age-old stalagmites, stalactites and surreal rock formations. We offer kayak service for you to explore the beauty of Ha Long Bay to the fullest. Kayaking around Vung Vieng fishing village will be an experience of your life time that you can’t get anywhere else! Get a taste of local culture with a traditional bamboo boat trip to the isolated floating village of Vung Vieng. Learn more about this peaceful community as you sail by the only school, the village’s museum and the modest floating homes that have housed generations. Learn about traditional Vietnamese cuisine with a cooking demonstration from our professional chefs. Find out more about local produce and flavors, help whip up popular Vietnamese dishes with expert guidance and, most importantly, taste the final results! Enjoy an unforgettable fine dining experience with your loved ones. Sample delicious Vietnamese cuisine prepared by expert chefs and receive excellent, attentive service. Relish the perfect combination of impeccable contemporary design while overlooking the breathtaking age-old bay. Try the ancient art of Tai Chi surrounded by Bai Tu Long Bay’s natural beauty. Take to the sundeck as the sun rises over the bay’s calm waters and limestone karsts. Enjoy the tranquil atmosphere as you practice balance, awareness and meditation.